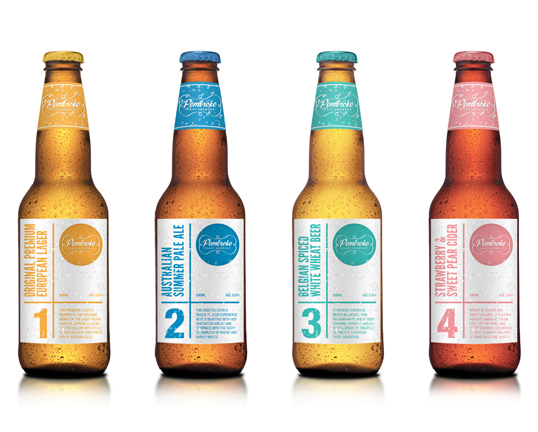 “What started as a love for beer and the need for more packaging pieces in a growing portfolio, this project developed into creating a brand for two guys who brew more beer than they can drink. Pembroke Craft Brewery was born and the simple task for this job was to develop a labeling system for their ever expanding brew collection while sticking to their slick brand which highlights their outstanding work ethic to produce premium beer and beverages. The labeling system is based on a focus toward a numerical labeling rather than traditional simple beer names. 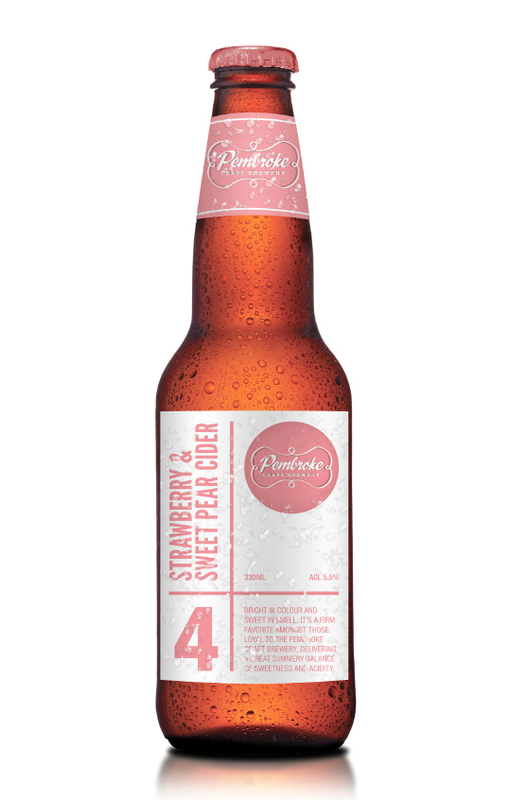 Resulting in the name of the beverage varieties being able to be more descriptive than the traditional naming of beers such as Dry or Drought. All varieties have a template style design with the only point of difference being replaceable copy and colour to reflect the style of each beer/beverage. Simple, yet interesting. Love it! Nice and clean. Great colours, suiting packaging for a really good beer!